Quick Response Codes, otherwise known as QR Codes, are 2 dimensional barcodes that are easily scanned by all Smartphones that contain a camera and a QR Code reader application. 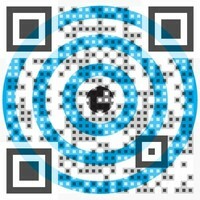 Once scanned, the QR Code directs the Smartphone to the designated destination of choice. Although most of us are only familiar with QR Codes that direct us to websites, QR Codes can be used in many different fashions, which is what makes them such a versatile and effective tool. QR Codes can open a location on Google maps, download a vCard into an address book, instantly post links or text in your social networks such as Facebook, Twitter and LinkedIn, call a phone number via Skype, play a YouTube video or simply open a text document like Word. As a result of this incredible flexibility, QR Codes can be used in every industry that utilizes the ability to direct users via print to a mobile platform that contains many more possibilities and information. And in no industry is this as vital and advantageous as in the marketing industry. QR Codes are essentially an interactive hyperlink that can be accessed by any print-based platform by the simple act of scanning. The problem of their visual appeal can be solved in an instant by the use of our Visual QR Code Generator (find out more on the advantages of using Visual QR Codes, press here), and when they are used in a creative fashion, their presence on your product or brand will enhance your ability to engage with customers and expose them to a whole new dimension of communication and information, all in an instant. QR Codes are extremely cost-effective as they are easily generated en masse, their use is free and their ability to increase your product’s success is restricted only by your creative thinking. Another advantage is the valuable web analytics regarding their use that can be retrieved via our site, providing you with a very reliable and useful tool to access the success of your marketing campaign. And last but not least – the use of Visual QR Codes in your marketing campaign immediately bestows a tech-savvy and innovative touch to your marketing strategy, differentiating your product and brand from your competitors. + Use a Visual QR Code on your label to offer more information about your products and their ordering details, answering your customer’s questions before they’ve even asked them – perfect for luxury products, clothes, pharmaceuticals and so on. + Provide your customers with real-time updates and information – useful for any business that has an information flow such event schedules, bookings, short-time specials or coupons and transportation schedules. 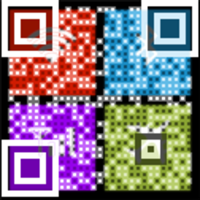 + Utilize the connection between Visual QR Codes and social networks to share links and advertisements and get greater exposure for your product. Begin a competition marketing campaign, rewarding customers who shared your product via QR Code and successfully brought in more customers. + Allow your customers to personalize messages, gift cards and labels by adding a custom-made Visual QR Code that can record a voice message, open a video or direct to a text message. + Quickly and effortless advertise your business’s contact details, location, hours and specials by adding a Visual QR Code to all brochures, poster and flyers. + Include a Visual QR Code on a take-out menu to direct the scanners to the restaurant’s website where they can order a meal, make reservation and so on. + Add a QR Code that directs the customer to a virtual, comprehensive how-to video for the installation and use of your product. Other examples include the use of Visual QR Codes for quickly passing contact details and schedules in conferences, for directing to trailers of movies, providing a Google Maps location and interior photos on a realtor’s For Sale sign, enhancing the virtual experience in museums, ect. The list of examples and possibilities is endless because the QR Code can direct its scanner to almost any platform, accomplishing the leap from print to mobile and opening whole new vistas of information and prospects for your customers, all in an instant. It’s important to use the Visual QR Code in a fashion that is most suited for its abilities – always make sure that they are easily scannable and in an appropriate location, that they direct to a mobile-friendly platform and most of all – that they provide the customer with new, exciting and useful information that they couldn’t have accessed before, easily and effortlessly. As we have shown you, the Visual QR Code has the ability to revolutionize your marketing campaign and elevate it to the next level of mobile marketing and advertising. The market is fluid and dynamic and today everything is virtual. Smartphones have flooded the market with new, innovative options and the potential to attract, reach and engage customers and Visual QR Codes are the next natural step in exploiting that potential to your advantage. Don’t stay behind – upgrade your product and your brand to a whole new level of interactive engagement with your customers – in an instant.